Citation: Nair D. Determinants of Enrollment in Comprehensive Health Insurance Scheme and Implementation Challenges: A Study in Kerala, South India. Health Sci J. 2015, 10:1. Background: Health systems in many low‐and middle‐income countries (LMICs) are funded primarily through out‐of‐pocket (OOP) payments [1-4]. OOP payments are one of the most inequitable forms of health financing ; they act as a barrier to access, contribute towards household poverty, generate little revenue (usually less than 5% of total health care budget), and promote perverse incentives, bureaucracy and corruption [6-8]. About 1.3 billion people worldwide do not have access to adequate health care or they are forced to depend on substandard care because of weak health care financing systems . WHO done an analysis of 116 household expenditure surveys in 89 countries established that 13% (approximately 44 million) households faced financially catastrophic health care costs in any given year and 6% (approximately 25 million) are pushed below the poverty line only because of high health care spending [9,10]. NHA 2004 reported that public health spending in India has varied a small between 2000 and 2010, about 1% and out of pocket spending is about 70%, one of the highest in the world. When people have to pay fee for health care, and the out of pocket payments are so high in relation to their income that it results in “financial catastrophe” for the individual or the household. Such high expenditure for health care can mean that people have to cut down on necessities such as food and clothing, or are unable to pay or withdraw their children from schools or putting them in to government schools etc. Moreover, the impact of these out-of-pocket payments for health care goes beyond catastrophic spending alone. Many people may decide not to use health services, because they cannot afford either the direct costs, such as for consultations, medicines and laboratory tests, or the indirect costs, such as for transport and special food. Studies have shown that Poor households are likely to affect with more diseases and sink even further into poverty because of the adverse effects of illness on their earnings and general welfare. Consequently, the poor either do not reach the health system or receive sub-standard care. Even small payments for health care can push poor in to debt or deepen their poverty [11,12]. WHO has proposed that health expenditure can be viewed as catastrophic whenever it is greater than or equal to 40% of a household's non-subsistence income, i.e. income available after basic needs have been met. However, countries may wish to use a different cut-off point in setting their national health policies. WHO also noted that there are three reasons have to be present for catastrophic payments to arise: (1) the access and availability of health services requires out-of-pocket payments; (2) low household capacity to pay; and (3) lack of prepayment mechanisms for risk pooling like health insurance coverage. Many low and middle income countries in Asia and Africa is facing the problems of high out of pocket payments for health followed by severe financial catastrophe especially the people who are affected with non-communicable diseases . Increasing number of NCDs is a major public health challenge in developing countries and studies shown that a single episode can push a household below poverty line. • Decide the level of cost sharing or co- payments by the households. Many times Programs that specifically focus on the poor may not achieve the desired results in many countries and facing the problems of sustainability issues [15-17]. The most common shortcomings are that the benefits package includes only limited services and many times out patient coverage is not included which may be high in case of non-communicable diseases, and co-payments are also high. In addition, in practice it has been found that the beneficiaries of such programs are often not actually poor. Moreover, there are other disadvantaged groups such as the elderly, the handicapped, mentally retarded and those with chronic health conditions and special diseases; are often excluded [18-20]. There are many demand side and supply side factors are affecting the enrollment in health insurance schemes. A recent study conducted in Kerala pointed out that the major demand side factors are socioeconomic status, cultural practices, access to health facilities and lack of awareness about health insurance schemes affecting the enrollment in HI schemes. The supply side factors are availability of attractive HI products, ease of reimbursement policies and sustainability of the available schemes. Another important factor is moral hazard i.e. unhealthy people want to enroll and ready to buy more HI products than healthy people [21-25]. In this context this study is trying to explore both demand and supply side factors affecting the enrollment in comprehensive health insurance scheme and the impact of CHIS on equity concerns, both income based health inequality and gender based inequality will be addressed. Data collection and settings: Exploratory qualitative case study method. A rural district of Kerala was selected for the study, then one Taluk selected conveniently and three Panchayths and three wards selected randomly. Six focus group discussions were conducted by the fist author on kudumbasree (women support groups) and each group consists of 10-15 members (Total 82). A qualitative semi structured interview design used to explore the demand side and supply side factors and problems related to enrollment in the scheme. Research protocol submitted to ASECEND research network, Monash University, Australia and ethical clearance obtained. For In -depth interviews purpose of the research was submitted and permission took form the local administration office (Panchayth) and informed consent obtained from participants of kudumbasree groups before all interviews. Key informants informed consent obtained before interviews. Semi structured interview schedule was used. Confidentiality of all information kept. This paper is based on the qualitative part of the research done under ASCEND research program and the author is ASCEND research fellow from India. Sample and recruitment: focus group discussions with kudumbasree members were arranged by the author on Sunday afternoons as usual their meeting day. All members attended the meetings were included for discussions. Key informants’ interviews were arranged according to convenient time and place. Government Officials of nodal agency, insurance company and hospital authorities were selected using a combination of purposive and snowball sampling and interviews were conducted using semi-structured questionnaires. The purpose of the interview was explained consent obtained before interviews. Key informants’ Interviews were recorded and field notes were taken by the interviewer. Data analysis: all interviews and focus group discussions were recorded. Field notes were taken. Interview findings were coded and analyzed using a thematic frame work analysis model. “I went several times to take the photo with my family members, sometimes the photographer was not there. Sometimes overcrowded and asked us to come on another day. After many days our photos taken and finally got the smart card. ” (Female, Daily laborer, 62 yrs)”. “I went with my family, husband and two sons. But many times photo was not taken and postponed. Finally both sons were excluded from the list because they were in the school and photos were not taken” (Female, tailoring, 45 yrs). “We are six members in the family, but only five people were permitted to enroll. So my elder son is not insured. Government should expand the coverage to all people in the family” (Female, private employee, 46 yrs)”. “I am the member of kudumasree group. We got the information from the secretary of the group and she asked all members to enroll in the scheme. We only two people in the family and both are suffering with hypertension and diabetes and every day we need medicines. If some serious problems coming we don’t have money to go to hospital. So we took this insurance scheme (housewife, 65 years)”. “Me and my husband are suffering with diabetes and need medication every day. But we are not getting the financial support through CHIS card because outpatient care is not included in the scheme. Every month we need a good amount of money for medicines and lab check. CHIS card should include outpatient coverage and lab investigations, otherwise it is useless for us (Female, house wife)”. Majority of the respondents who utilized the scheme were complained about the delay in settling claims and transportation charges and quality of services availed. Respondents reported that there is no rational choice so they used public facility. “My husband had chest pain and his BP was very high and admitted in the hospital, we used the smart card. We purchased many medicines from outside pharmacy and bill given to CHIS room. It takes more than 6 months to get back the money. It was not possible to use the card in the nearby private hospitals so we adjusted in the government hospital general ward. It was overcrowded and dirty (Female, housewife, 55 yrs”). ““Hospital people were supporting when I was admitted in the Taluk hospital with asthma, insurance counter people told me that I will get 100 Rs for transportation. I spend more than 200/ Rs to get that 100/ Rs- going many times to counter to check the amount reached or not”. Finally one day they called me by phone and asked to come and collect the cheque” (female, coolly, 60 yrs). “I had a history of fall and fracture of thigh bone. Surgery done and we spend more than 50,000/Rs, including borrowing from private chits person and gold loan. I got the insurance amount. Even if it is not enough to cover the full expenses it was a relief at that time (female, housewife, 48 yrs)”. “Policy of the government is good. But we don’t know how to manage without money. A huge amount of claim is pending, and we are struggling to pay the money to purchasers. Incentives to staffs etc. There are many challenges related to issue of smart card also. (Official, nodal agency)”. “Finding real beneficiaries is a real task. Many times a person belongs to APL category are included in the BPL list. So the concept of financial protection to the poor becomes meaningless. At the same time many families were excluded from the list. We have to identify the reasons also (official1, insurance company)”. “Currently the scheme is for BPL and APL families. But the numbers of enrolled APL families are less. More APL families should encourage participating in the scheme, so the pooling will be sufficient. (Official2, insurance agency)”. “We don’t have enough money to settle the bills. A huge amount is pending to settle the claim of patients, incentives for staff etc. Without enough funds it is difficult to run the program. People are less motivated because of these issues. Regarding sustainability, I don’t know how long…….. (Administrative officer, hospital1)”. “Everyday people are coming and asking for money. Sometimes I am feeling very sorry for the delay of giving money for poor people. At least their transportation cost (100/Rs) is possible to give on time I am happy. But it is not happening because of delay in releasing money from government (PRO, Hospital3”). “Our office is always creating a friendly atmosphere; four ASHA workers are working only for this scheme and trying to solve the problems of CHIS card holders. We are keeping proper records, preparing cheques on time, informing card holders etc. I think most of the CHIS Card beneficiaries are happy with our office” (ASHA woker, Hospital2). “Many patients are utilizing the facility of Smart card in our hospital. Staff work load is high, but we are getting very less incentives from government side. More over the funds are not releasing on time” (Nursing superintend Hospital2). Last few years India has achieved significant economic growth but still below its global comparators in terms of public health spending. Huge disparities seen among states and improvements in health system have not been shared equitably . Several policies and strategies implemented in the last decade to improve the health system performance. National rural health mission (NRHM) is a health care reform program started in 2005, aims to improve health care utilization and reduce health inequalities between states. As a part of this program government introduced a demand side health insurance scheme known as Rashtriya Swasthya Bima Yogana (RSBY) for the people below poverty line [27,28]. The scheme stared in 2008 and almost all states implemented and practicing successfully. Kerala government modified the scheme in to comprehensive health insurance scheme and implemented in 2008 itself. Kerala the south Indian state well knew its achievements in health and women literacy level that may be the reason that the enrollment in comprehensive health insurance scheme is higher than other states [29,30]. Health insurance schemes are expected to reduce unexpected and unaffordable health care costs through resource pooling and risk sharing mechanisms. Many developing countries the social health insurance schemes are giving financial protection to formal workers, and private health insurance schemes coverage is limited to people have the capacity to pay for the premium and poor people were excluded. Recently there is a trend of emerging many community based health insurance schemes in India. They have been either intuited by local community, cooperative organizations, NGOs or even supported and introduced by government itself. But many times these schemes are facing implementation challenges and sustainability issues [30,31]. There are many positive and negative factors affecting the enrollment are pointed out through this study (Table 1). Table 1: Factors related to Enrollment in Comprehensive Health Insurance Scheme, Kerala. 2.Not happy with the facilities of public health institutions. Despite the rapid economic growth, out of pocket spending for health care is high in India and pushing many people in to poverty . There should be appropriate balance between demand and supply side initiatives to improve the health system performance of the country. Government of India tried various demand side mechanisms to protect poor and vulnerable people since 1945. But only few percentage of the population were benefited through government schemes and there was huge inequality in health exists between states. Demand side financing focus on financing function either from government or contribution from employees and mediated by an insurer. Health care can be from either government or private providers. It creates the freedom for consumers to make a rational choice between providers [32,33]. But this study results showed that the number of empanelled hospitals are limited and respondents preferred government facilities so the concept of rational choice and quality health care is questionable. in catastrophic payments reported by many studies. This clearly indicates the need for a sustainable financing mechanism to protect poor people especially those who are suffering from chronic diseases for their outpatient coverage also. The adherent problems of health insurance are adverse selection and moral hazards are noticed in this scheme also. But previous studies showed that the average hospital utilization days and hospital expenses are less compared to other health insurance schemes. Target oriented approaches (BPL Population) become a failure in many states. The major reason is identification of real beneficiaries is a difficult task. This study also noticed the same issue. It is encouraging to see the active role of kudumbasree and ASHA workers for the successful implementation of the scheme. The involvement of female is more mainly because of kudumbasree units and their contribution is appreciable in rural villages of Kerala. The in-depth interviews and key informants interviews revealed the fact that there is delay in settling claims and hospital authorities are complaining that they are facing problems to settle the due amount of pharmacies and labs outside the system. Because of large amount of claim is pending from the government side and many private providers are withdrawing the services. RSBY have made a promising start, even though small in terms of public finance this scheme showing significant changes in the traditional health financing system of India . But it needs to strengthen their managerial and technical capacity and should focus on better monitoring at district levels. As it is a demand side financing program CHIS need to revise their benefit packages and ceiling for claim. Government and policy makers have to take necessary steps and concerted effort is needed for the successful implementation of the scheme and sustainability should be maintained. 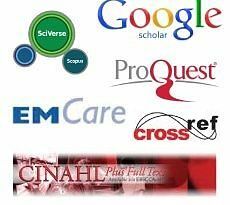 Research protocol submitted to ASECEND research network, Monash University, Australia and approved by the research coordinating team under the guidance of NIH. For In -depth interviews purpose of the research was explained and permission took form the local administration office (Panchayath) and informed consent obtained from participants of kudumbasree groups before the interviews. DN is the author of this publication and ASCEND research trainee from India. This paper is the qualitative part of her study conducted in Kerala in 2013. DN developed the research proposal under the supervision of Professor Brian Oldenburg, conducted the interviews and prepared the manuscript. Focus group discussions were conducted with the help of three ASHA workers from Kerala. The author(s) of this publication were supported by the ASCEND Program (www.med.monash.edu.au/ascend) funded by the Fogarty International Centre, National Institutes of Health, under Award Number: D43TW008332. The contents of this publication is solely the responsibility of the author(s) and does not necessarily represent the official views of the National Institutes of Health or the ASCEND Program. Author’s acknowledgements will go to Pro. Brian. Oldenburg, Director ASCEND Program, Monash university, Australia and Dr. Sha Yasin, Monash university, Malaysia, International mentor for ASCEND program and the reviewers. Balarajan Y, Selvaraj S, Subramanian SV (2011) Health care and equity in India. The Lancet 377: 505–515. Bonu S, Bhushan I, Rani M, Anderson I (2007) Incidence, intensity, and correlates of catastrophic out-of-pocket health payments in India. Erd Working Paper Series, Asian Development Bank: 1–32. World Bank (2009) World development indicators. Garg CC, Karan AK (2009) Reducing out-of-pocket expenditures to reduce poverty: a disaggregated analysis at rural-urban and state level in India. Health Policy Plann 24: 116–128. Berman PA, Ahuja R, Bhandari L (2010) The impoverishing effect of healthcare payments in India: new methodology and findings. Econ Polit Weekly 45: 65–71. Shahrawat R, Rao KD (2011) Insured yet vulnerable: out-of-pocket payments and India's poor. Health Policy Plann 27: 213–221. Bang A, Chatterjee M, Dasgupta J, Garg A, Jain Y, et al. (2011) High level expert group report on universal health coverage for India. New Delhi, Planning Commission of India. Swarup A, Jain N (2010) RashtriyaSwasthyaBimaYojana–a case study from India. RSBY Working Paper Series. Krishnaswamy K, Ruchismita R (2011) Performance trends and policy recommendations: an evaluation of the mass health insurance scheme of Government of India. RSBY Working Paper Series #10. 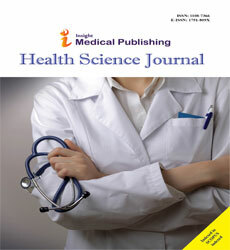 Gamser M (2011), Low Cost Indian Health Insurance Spurring National Healthcare Investment, International Insurance News. La Forgia G, Nagpal S (2012) Government-sponsored health insurance in India: are you covered? Directions in development: human development. Washington, DC - The World Bank. Seshadri T, Trivedi M, Saxena D, Soors W, Criel B, et al. (2012) Impact of RSBY on enrolled households: lessons from Gujarat BMC Proceedings. 6: 9. Rajasekhar D, Berg E, Ghatak M, Manjula R, Roy S (2011) Implementing Health Insurance: The Rollout of RashtriyaSwasthyaBimaYojana in Karnataka. Econ Polit Weekly. 46:56-63. Selvaraj S, Karan AK (2012) Why Publicly-Financed Health Insurance Schemes Are Ineffective in Providing Financial Risk Protection. Econ Polit Weekly, 47: 61–68. Dilip TR (2012) On Publicly-Financed Health Insurance Schemes. Econ Polit Weekly, 47: 79-80. Vellakkal S, Ebrahim S (2013) Publicly-Financed Health Insurance Schemes: Concerns about Impact Assessment. Econ Polit Weekly, 48: 24-27. Fan V, Karan A, Mahal A (2012) State Health Insurance and Out-of-Pocket Health Expenditures in Andhra Pradesh, India. Int J Health Care Finance Econ 12: 189-215. Kannan KP, Breman J eds (2013) The Long Road to Social Security: Assessing the Implementation of National Social Security Initiatives for the Working Poor in India. Oxford University Press India. p552. Jain N (2010) "56 Million Steps Toward Universal Coverage: RSBY Health Insurance for the Poor in India". Deutsche GesellschaftfürTechnischeZusammenarbeit (GTZ) GmbH. Sun C (2010) An analysis of RSBY enrolment patterns: Preliminary evidence and lessons from the early experience. RSBY Working Paper #2. Swarup A (2011) RashtriyaSwasthyaBimaYojana (RSBY) … some initial trends. RSBY Working Paper. Jakab M, Krishnan C (2004) Review of the strengths and weaknesses of community financing. In Preker A, Carrin G (Eds. ), Health financing for poor people: Resource mobilization and risk sharing (pp. 53e117).Washington: World Bank. 17. Ajay Mahal (2011) Achieving Universal Coverage in India: An Assessment of the Policy Challenge. Monash University, Australia. K.Srinathreddy ,S.Selvaraj et al, (2011) A critical assessment of existing health insurance models India, PHFI Study. Arora .DNanda.L. (2010) Towards alternative health financing: the experience of RSBY in Kerala, RSBY Working paper 4.